Edward Perlman teaches in the M.A. in Writing program at Johns Hopkins University. 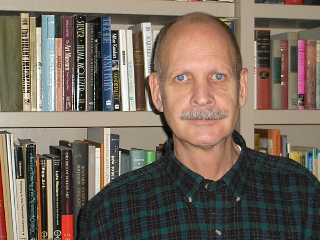 He is the publisher and senior editor of Entasis Press (entasispress.com), an independent literary press publishing poetry, fiction, and creative nonfiction. He has been an associate artist at the Atlantic Center for the Arts in Florida where he studied with Anthony Hecht. The Washington DC Commission on the Arts and Humanities and the NEA awarded him an artist fellowship grant for his poetry, and his essays and poetry have appeared in various journals.